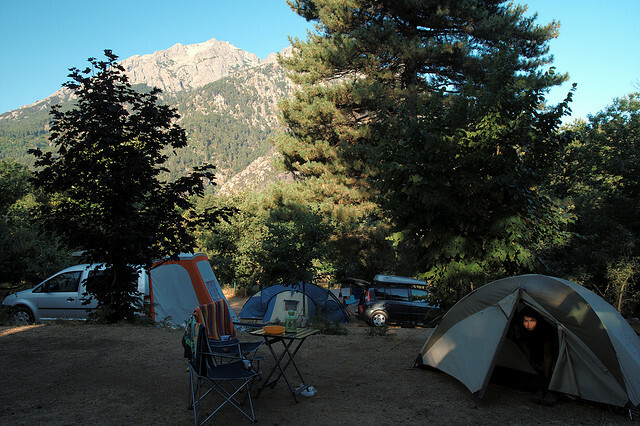 Camping season starts from June to September are the months in France, and the rest of the months shall be closed in most areas of France. 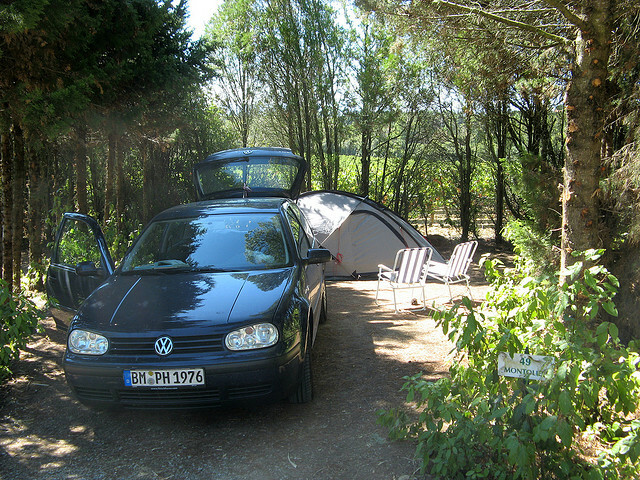 My advise is to use municipal Camping sites are cheaper, from 4 to 10€ for 2 people and 2 to 6€ for single person. 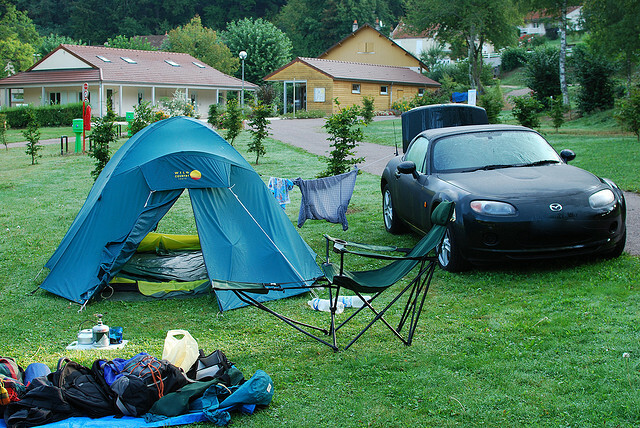 Security is not a big problem for campsites, as we can lock our bikes to the trees and take the luggage into the tent. 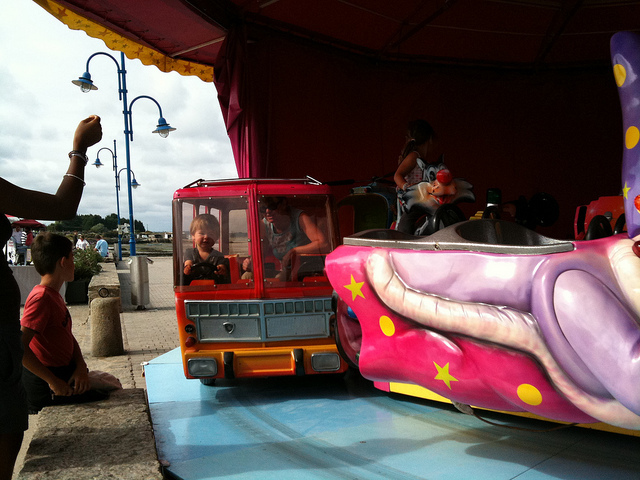 Camping is one of the cheapest way to travel in France for the accommodation, Camping cannot be Dog or animal friendly because of the location area where we camp our site. people always travel on a tight budget or want to spend some money. Glamping is also another accommodation for traveler, but they are high cost compare to campsites. 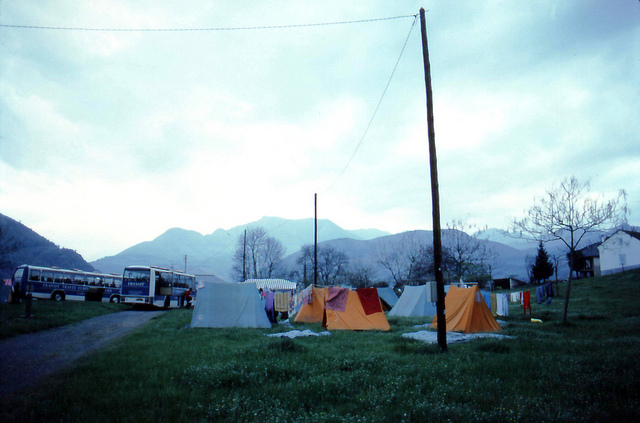 Anyone could buy a campsite and travel with that or hire a campsite if there are any lease suppliers. 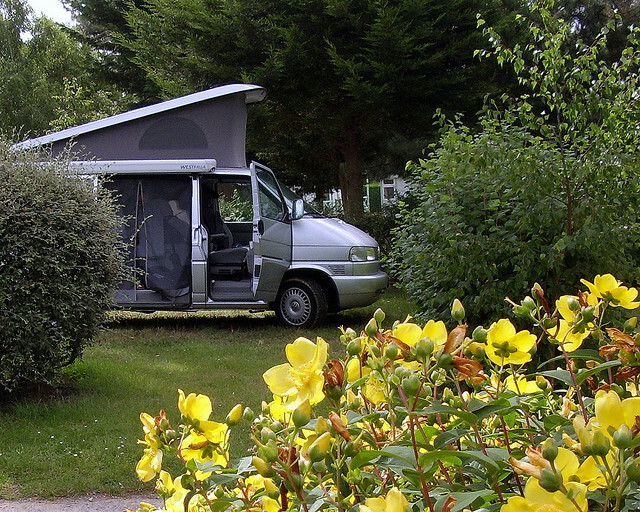 There are different kinds of campsites in France and some companies provide Dog friendly campsites too. please choose the one which you required to spend days in that campsite. 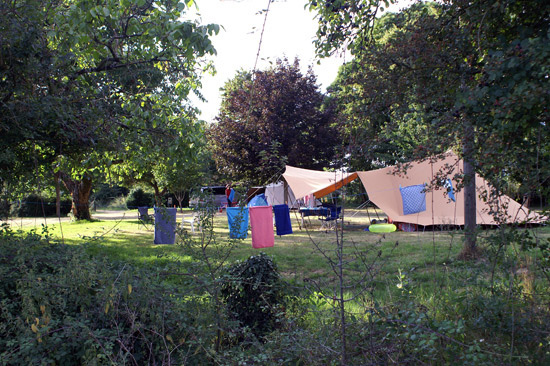 Some of the exciting campsites around the France that are nicely decorated by the travelers. 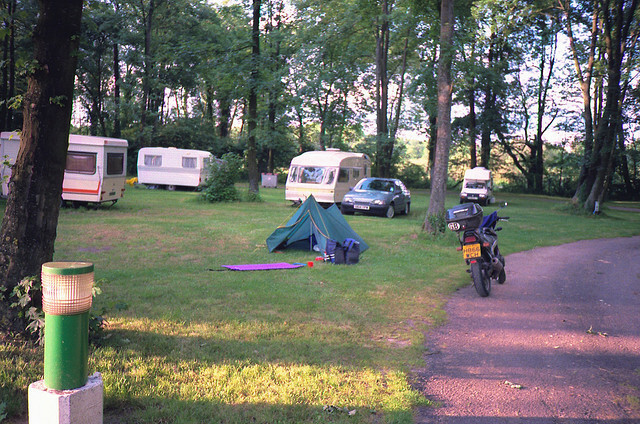 A camping area in Metz, France. Vaude Power Uncover canal covering, Ford SH125i motorcycle. 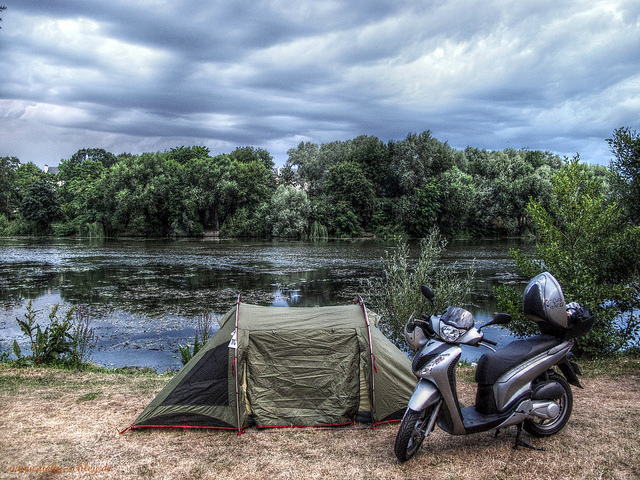 Camping in France while touring on the bike from Germany.